If you are a vegetable gardener, and if you grow zucchini, you probably have enough for you, your family, neighbors and friends, and still may have some extras. Celebrate those plentiful zucchini yields with OSU Extension on Wednesday, August 8, 2018. Zucchini can be used in unlimited types of recipes. Like the zucchini, OSU Extension is very versatile. OSU Extension is a resource for the community, bringing educational tools to individuals and organizations across program areas including Agriculture and Natural Resources, Family Consumer Sciences, Community Development and 4-H Youth Development. Why "Sneak A Zucchini on Your Neighbor's Porch"? If you grow a healthy zucchini plant, you have so much produce that you need to find many ways to use all of it. Tom Roy of Pennsylvania is credited with putting the event on the calendar. In addition to your neighbor's porch consider sneaking zucchini on co-workers' desktops or into your favorite recipes. If you are a gardener and have excess of any fresh produce, most emergency food pantries, food banks, kitchens and shelters accept food to share with those in need in the community. 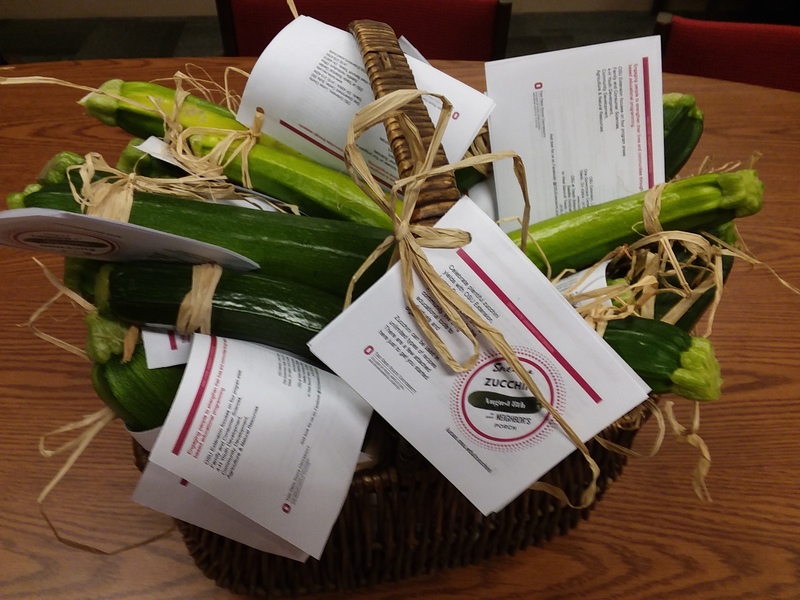 The author would like to recognize her co-workers in Lucas County for there efforts during this year's Ohio Local Foods Week and Sneak A Zucchini On Your Neighbor's Porch Day.